Cetaphil Restoraderm Body Moisturiser is a creamy, non-greasy moisturiser clinically proven to moisturise and soother dry, itchy skin. It is a technologically advanced skin care product which contains a unique combination of ceramide and filaggrin breakdown products technology. This advanced technology moisturizes sensitive skin. Explore the entire range of Creams, Lotions & Oils available on Nykaa. 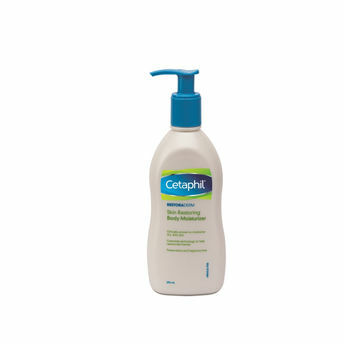 Shop more Cetaphil products here.You can browse through the complete world of Cetaphil Creams, Lotions & Oils .